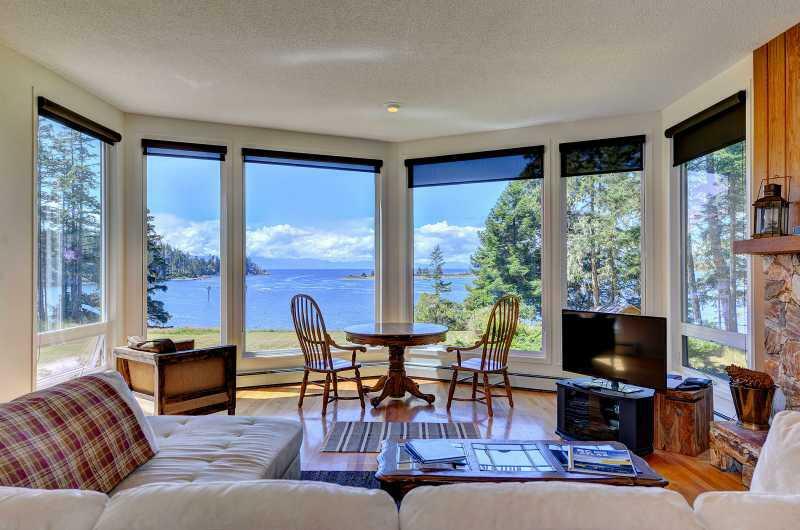 Situated in picturesque East Sooke, Pacific Coast Beach House is a perfect destination for your ideal West Coast Vacation. 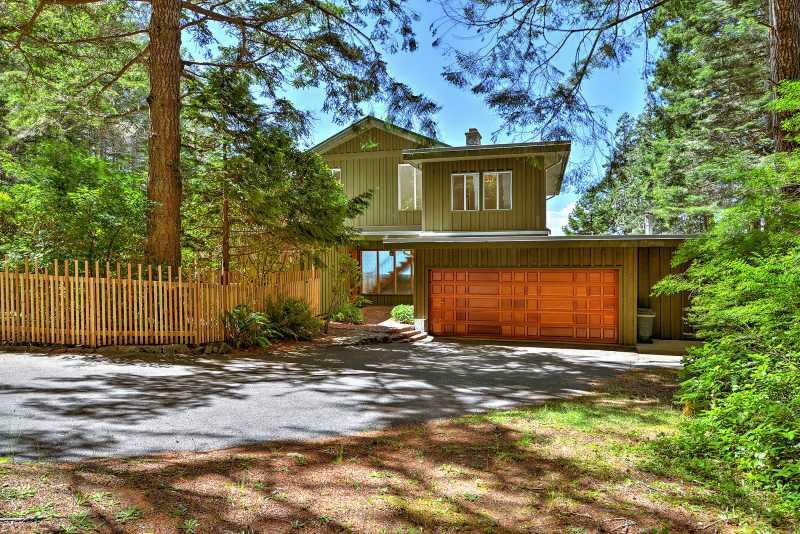 This large home has room for the whole family both inside and out. 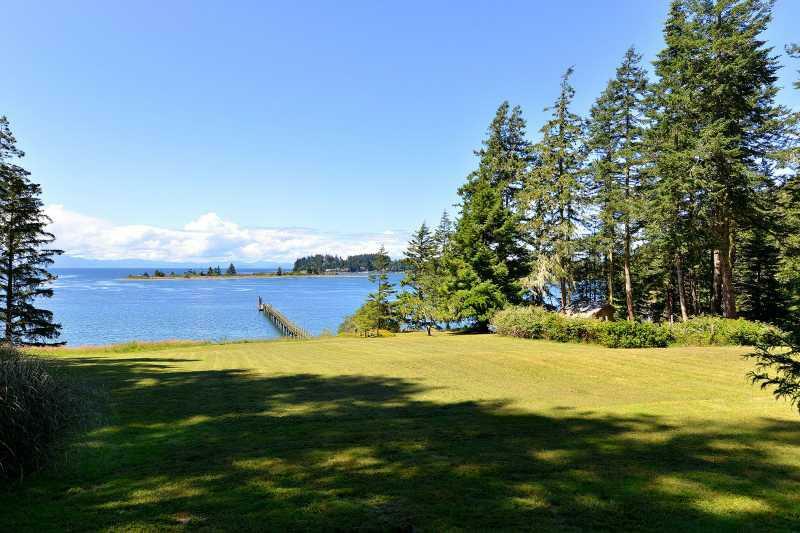 Private beach, private dock and an incredibly large lawn which cascades down to the water. 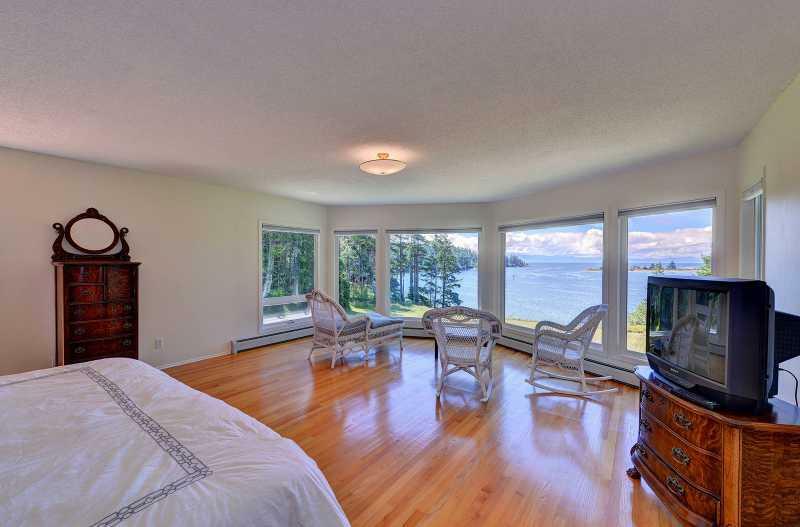 A perfect location for your next vacation! 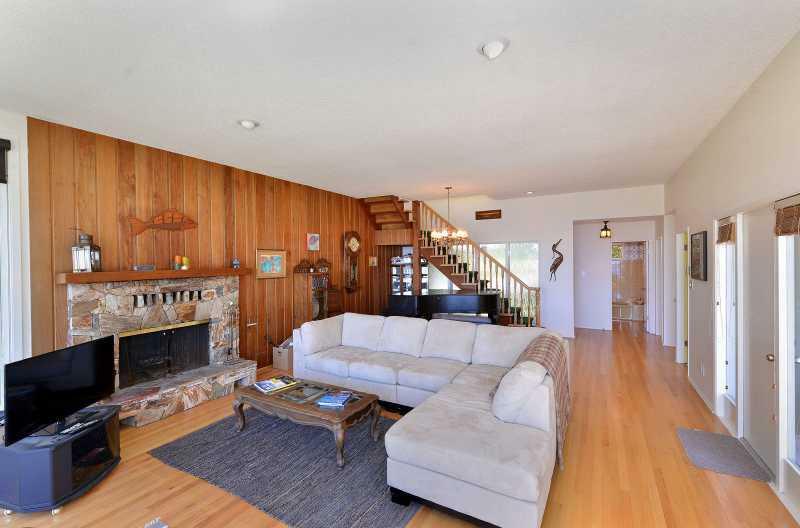 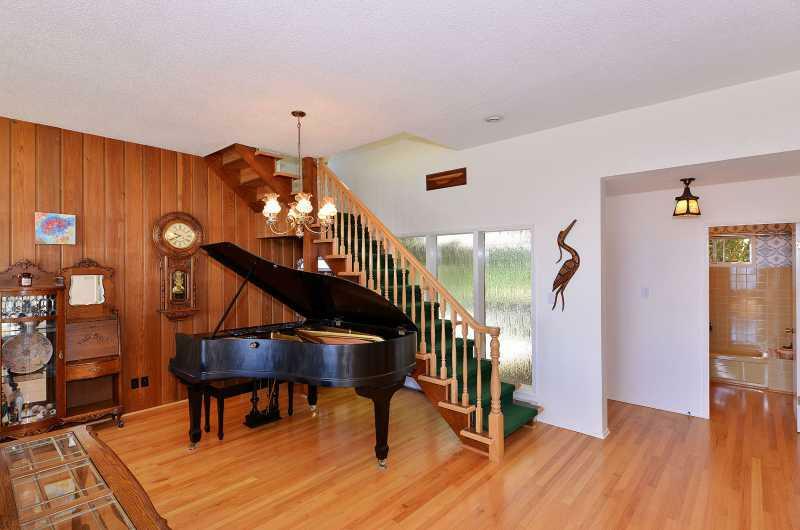 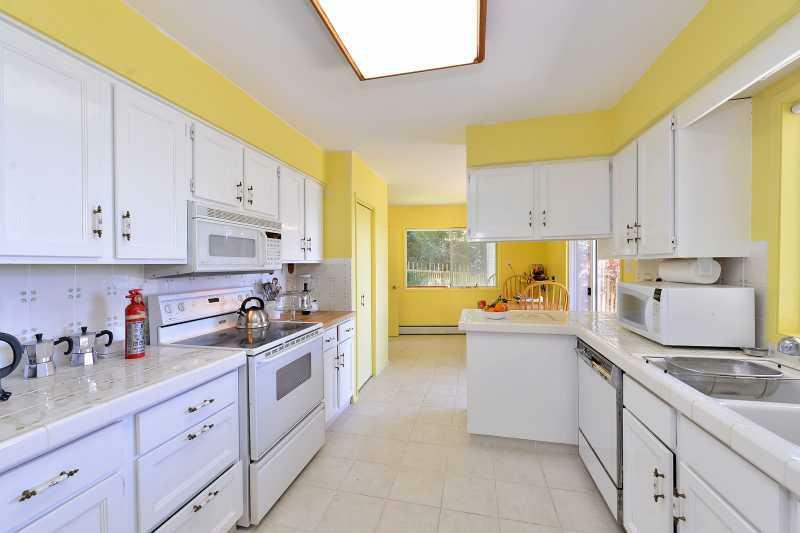 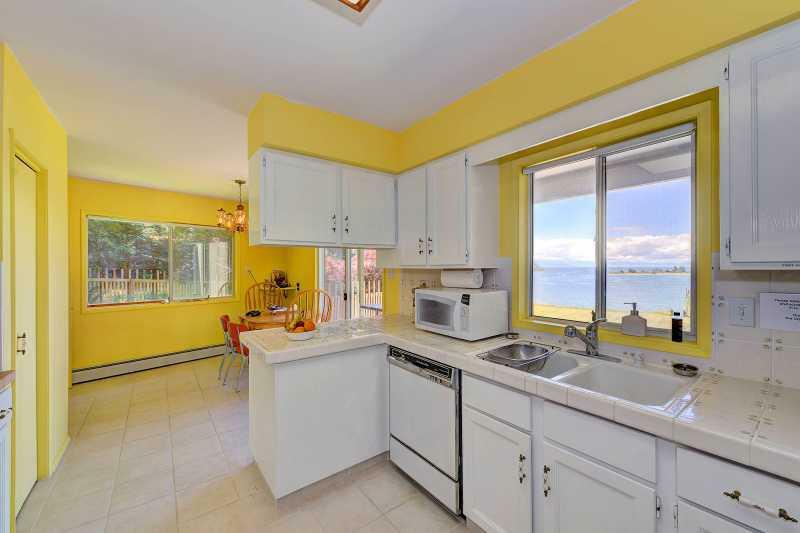 Pacific Coast Beach house is a split level home with three bedrooms and three bathrooms. 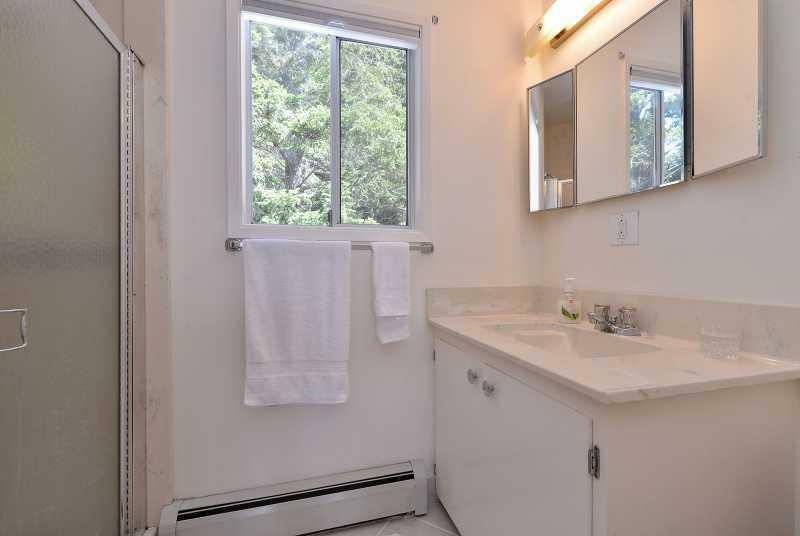 The main level of the home offers one bedroom, one bathroom, living room with wood burning fireplace, kitchen and dining area. 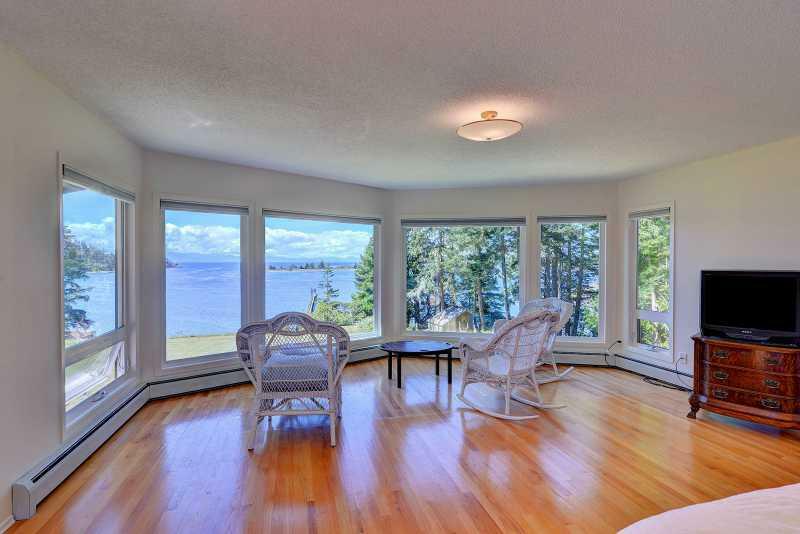 The living room boasts floor to ceiling windows, patio access, a baby grand piano and stunning views of the ocean. 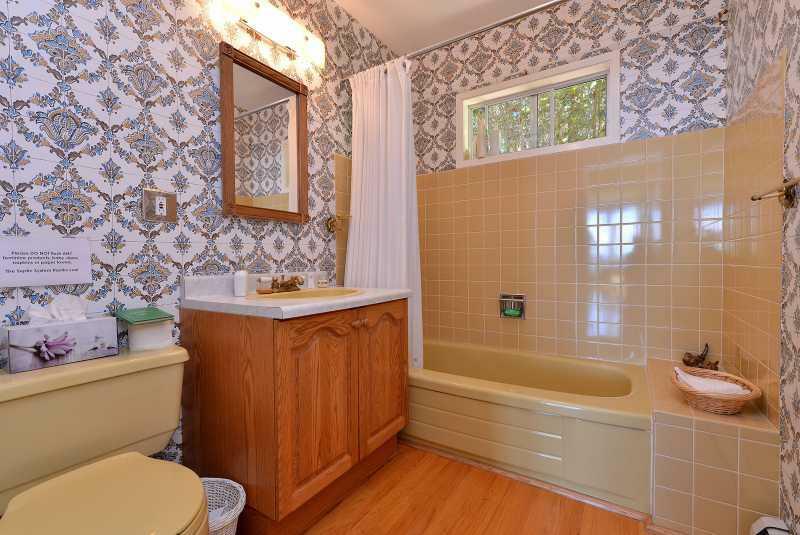 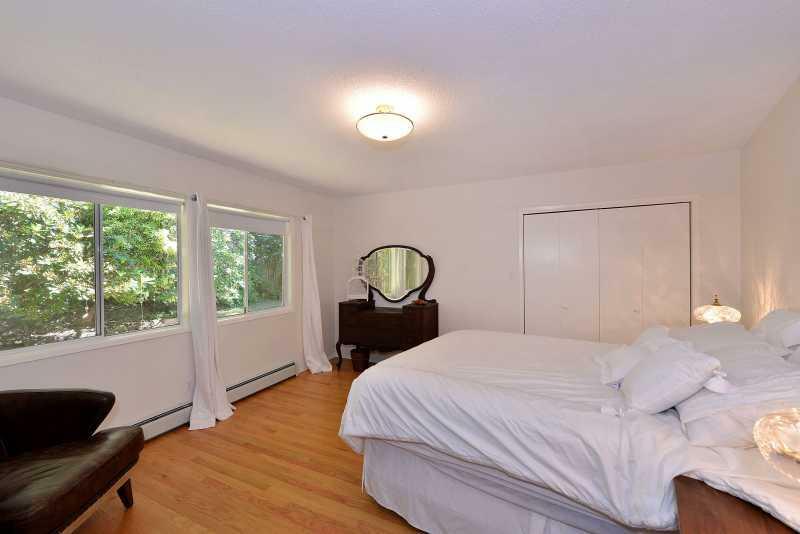 Upstairs you will find a second bedroom, office space and a four piece bathroom. 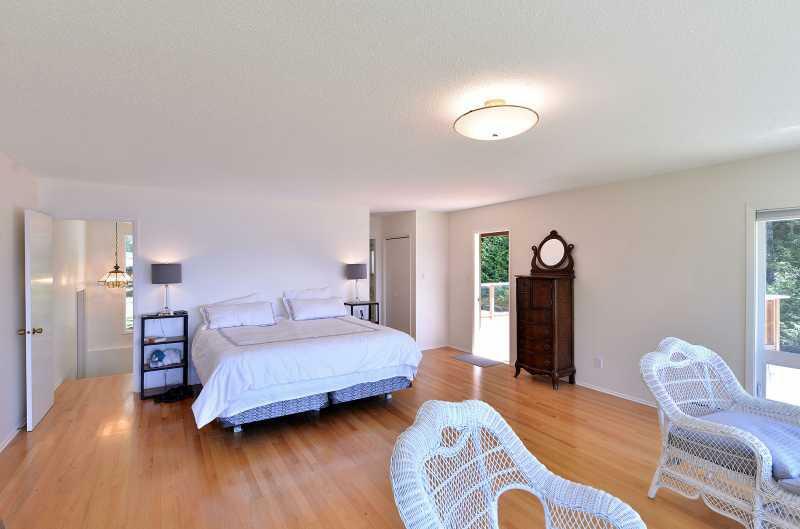 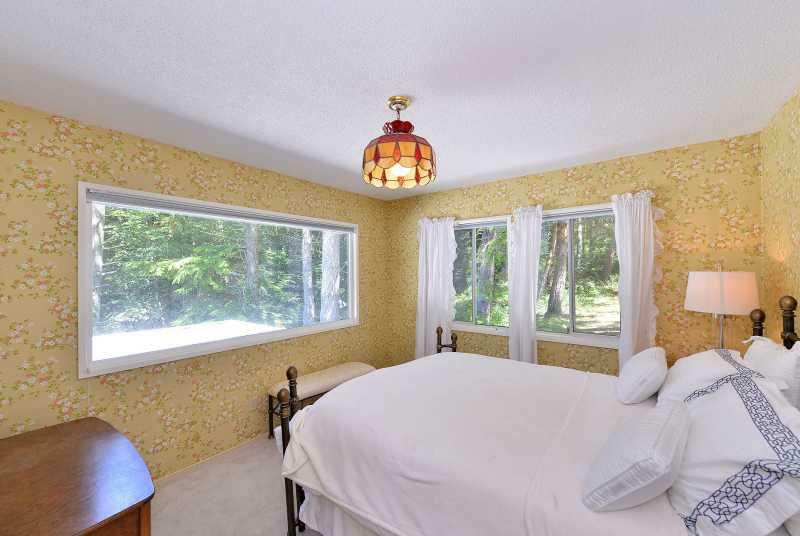 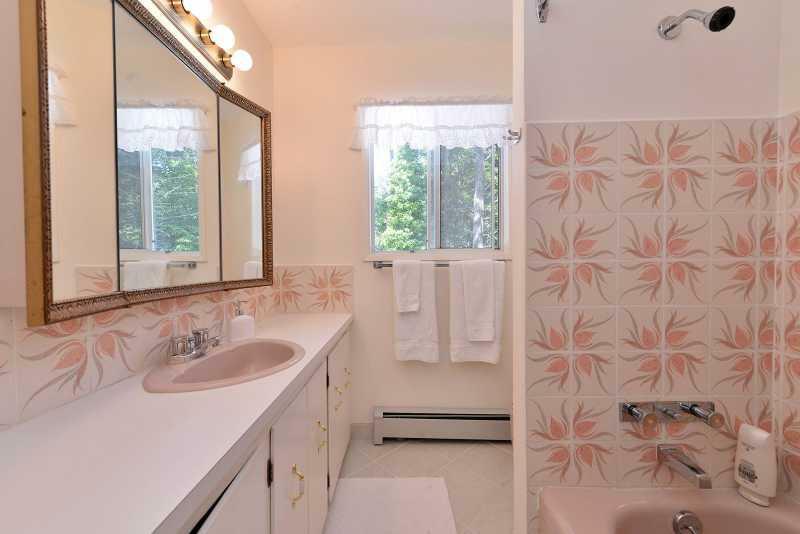 On the third level of the home is the very large, bright and comfortable master suite. 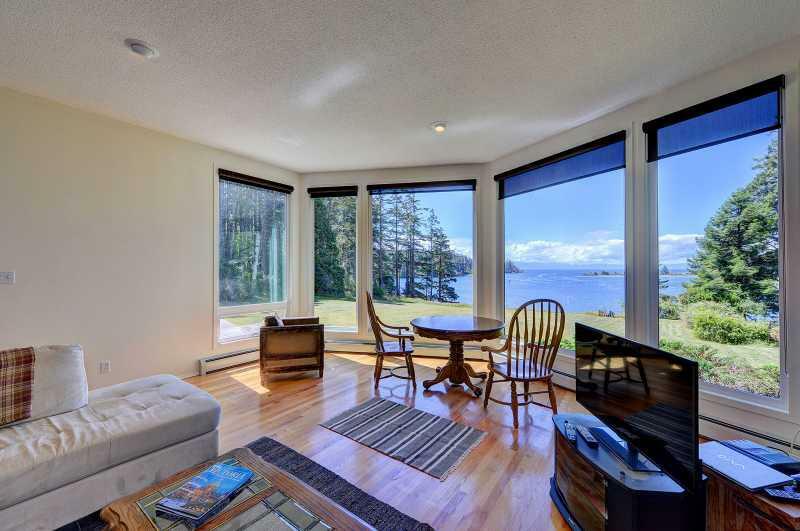 Floor to ceiling windows, vaulted ceilings and a private patio provide the perfect space to enjoy the unobstructed ocean views. 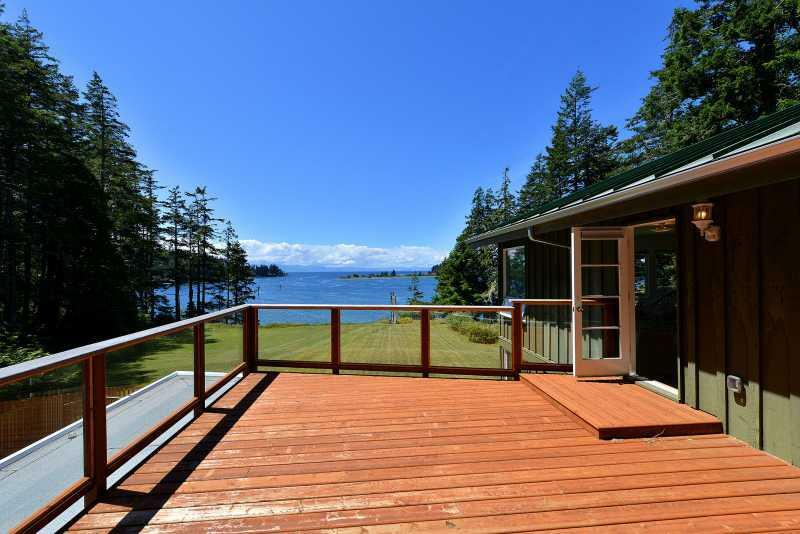 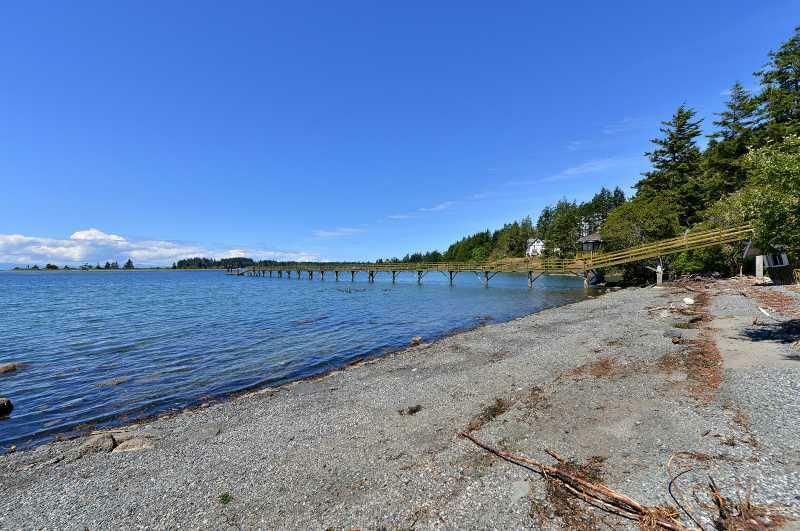 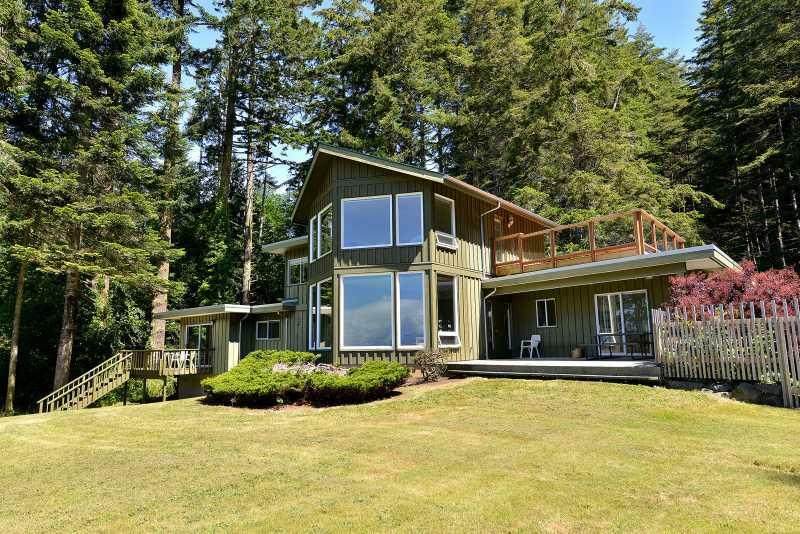 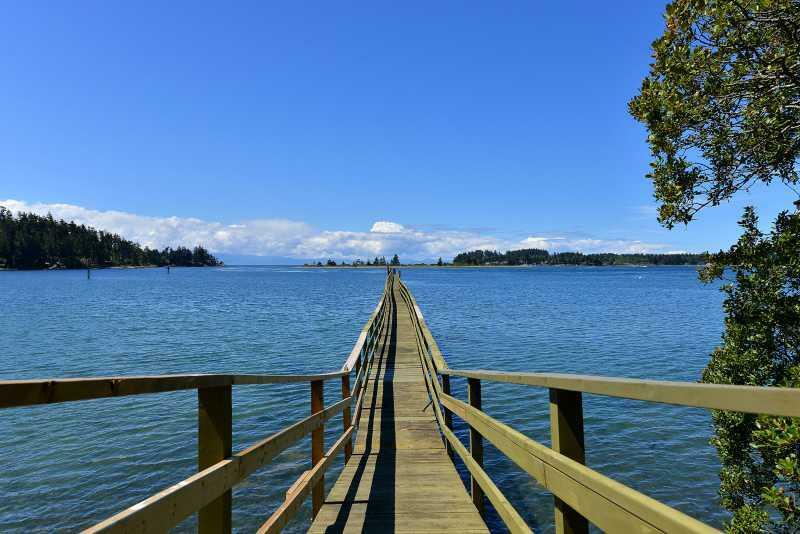 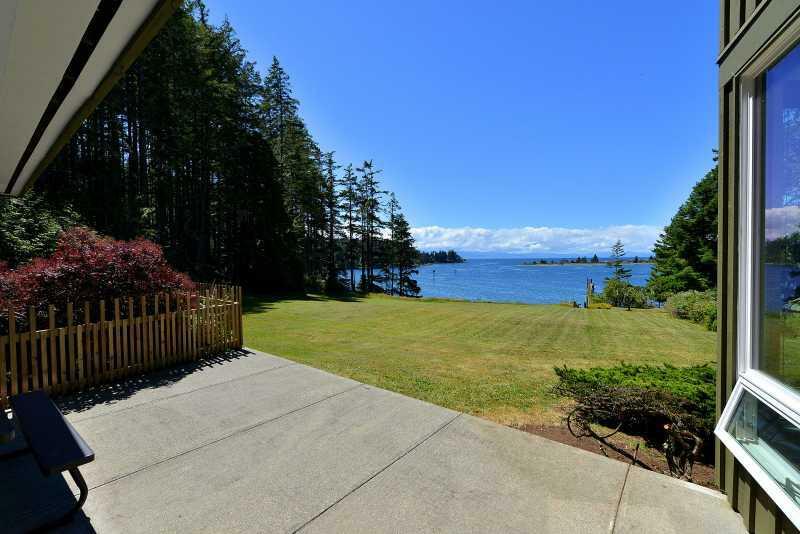 Located on a very large and private property, Pacific Coast Beach House is located right on the ocean with views of Whiffin Spit and the Olympic Mountain range. 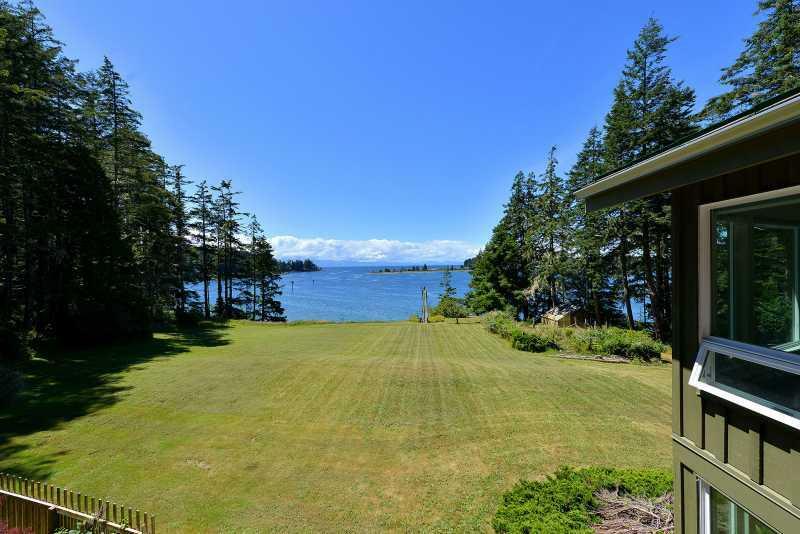 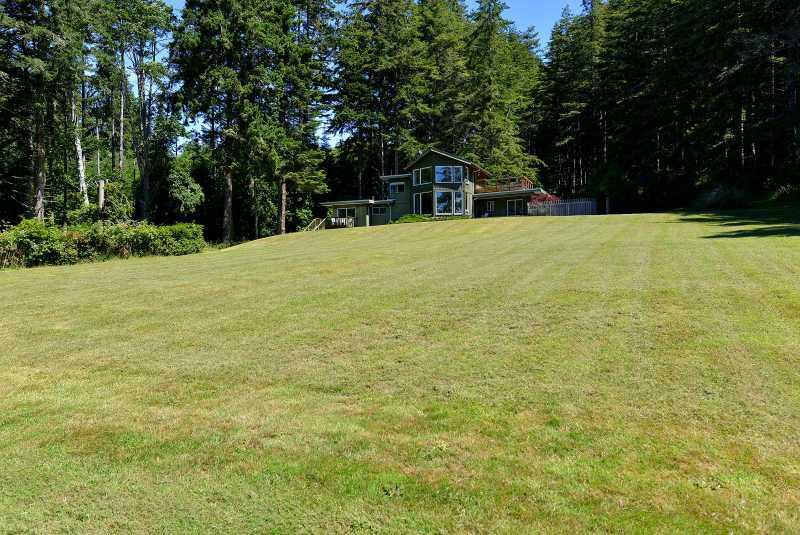 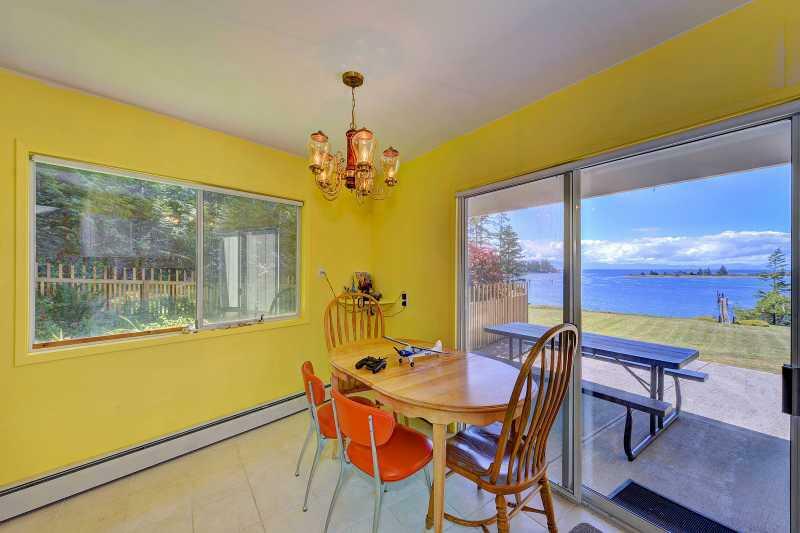 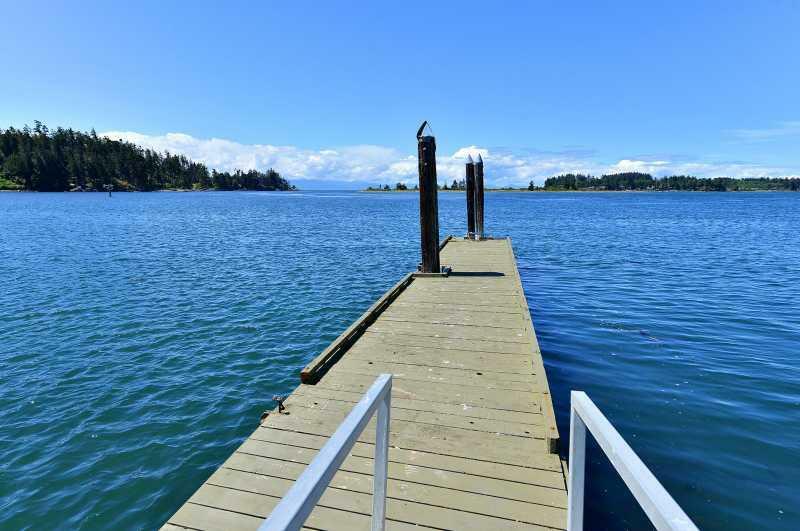 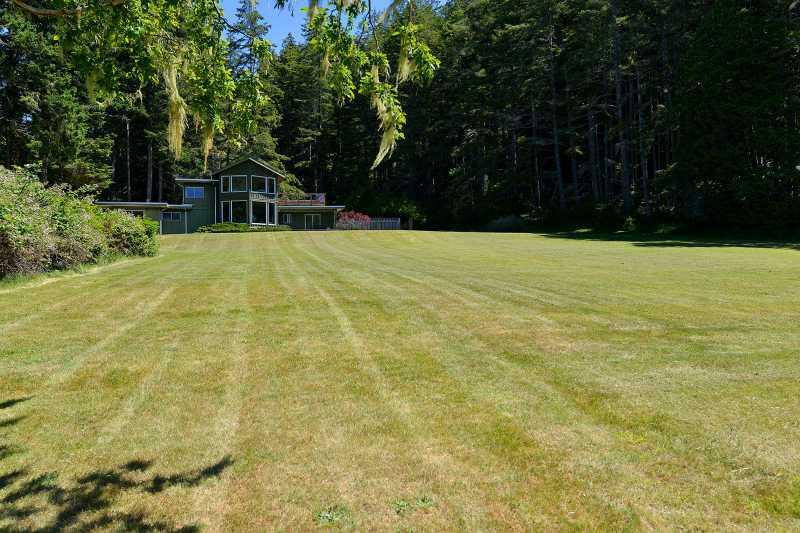 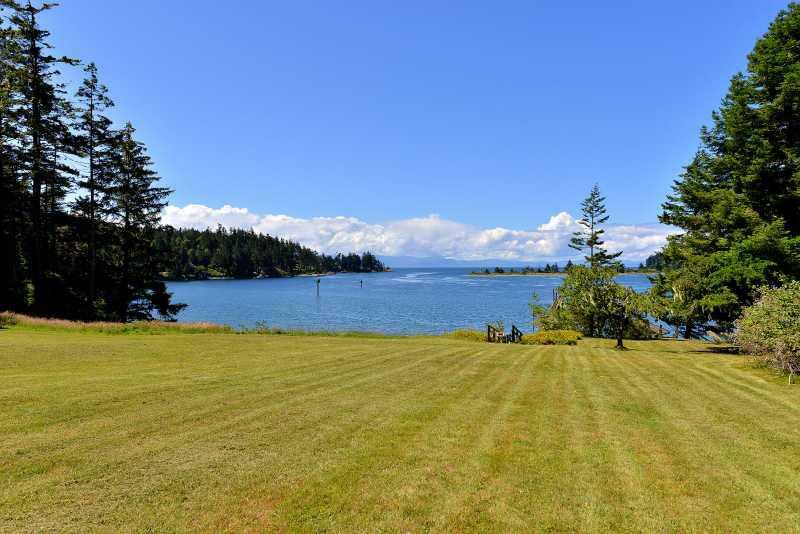 There is a large 50 ft dock with deep water moorage available which is located at the base of the large lawn. 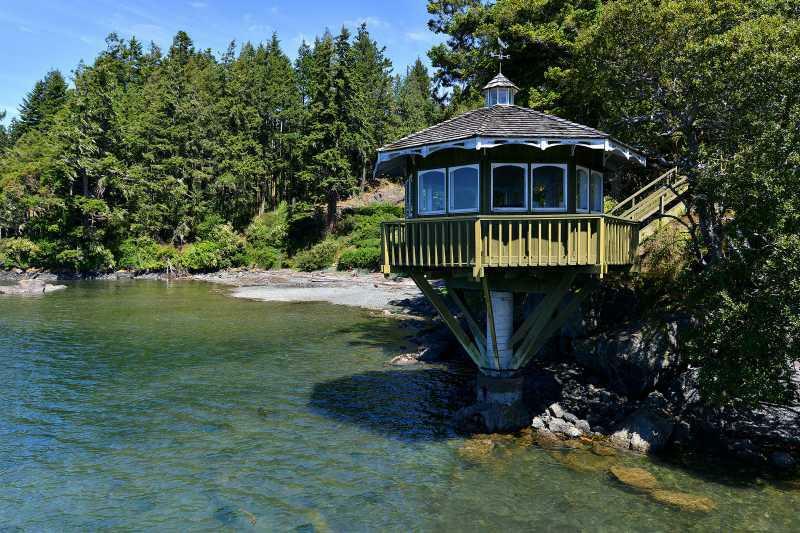 There is also a unique gazebo providing you every opportunity to view the abundance of wildlife and nature surrounding you. 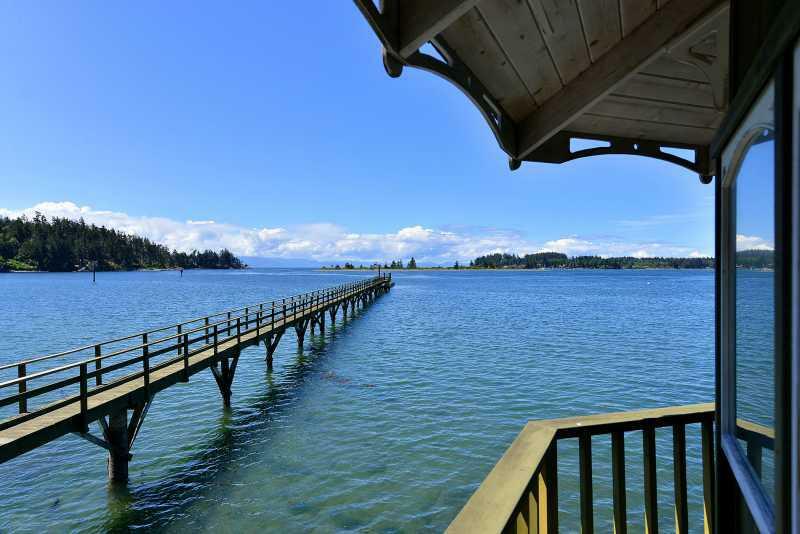 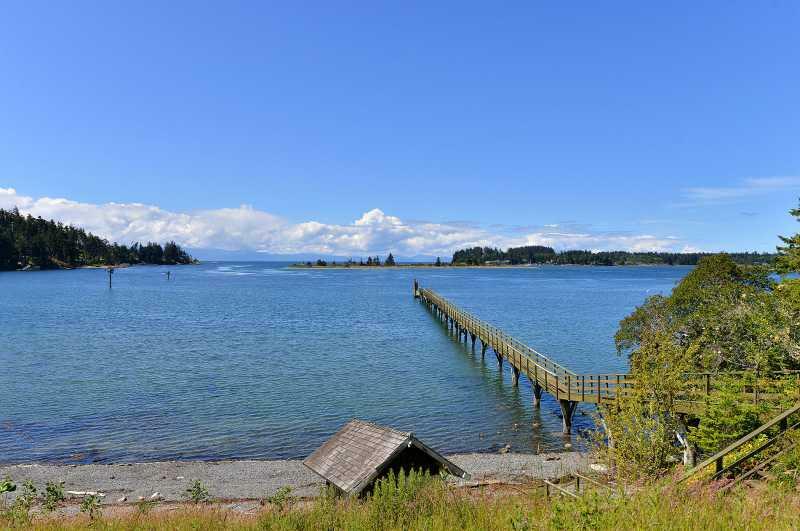 East Sooke is a rural community but with amenities not too far away. 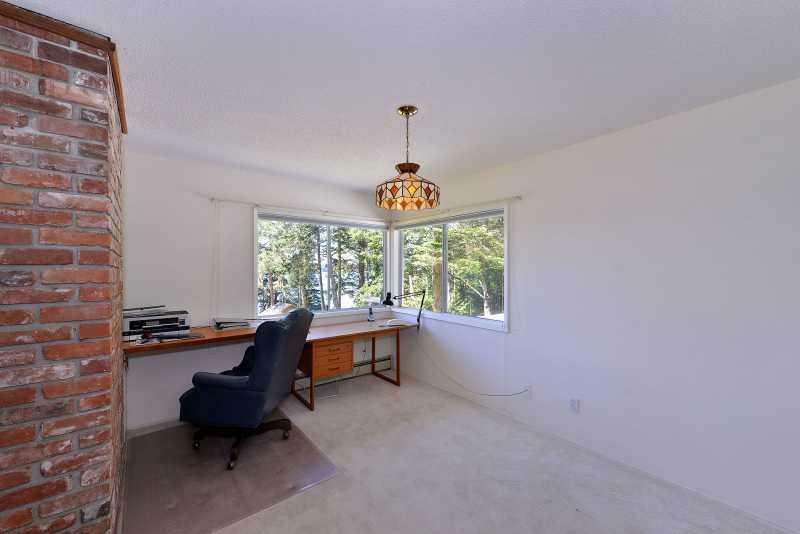 A corner store, which is located about 10 minutes by car or you can drive to the town of Sooke which has all amenities you will need. 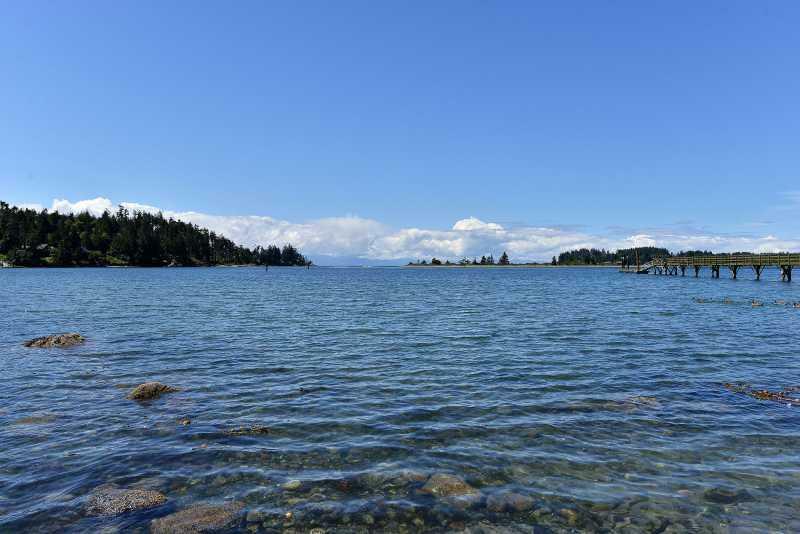 There are so many wonderful places to visit within the East Sooke and Sooke communities. 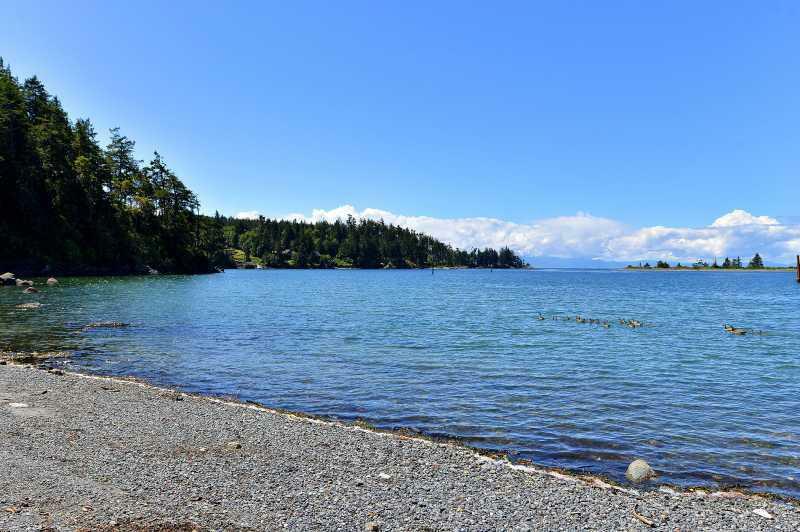 The Sooke Potholes is a popular swimming hole among the locals, the Galloping Goose Trail runs adjacent to the Potholes or visit the historic 17 Mile Pub which was built in 1894. 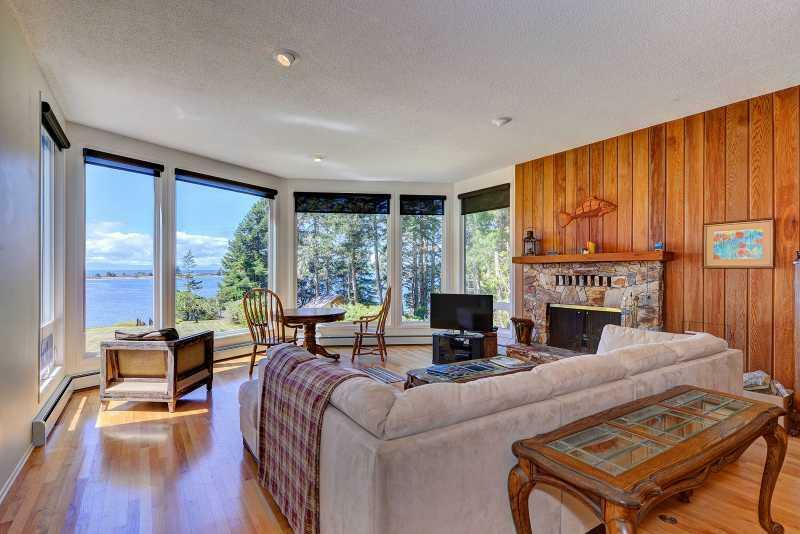 Pacific Coast Beach house is the perfect spot to enjoy your vacation and get a true West Coast experience! 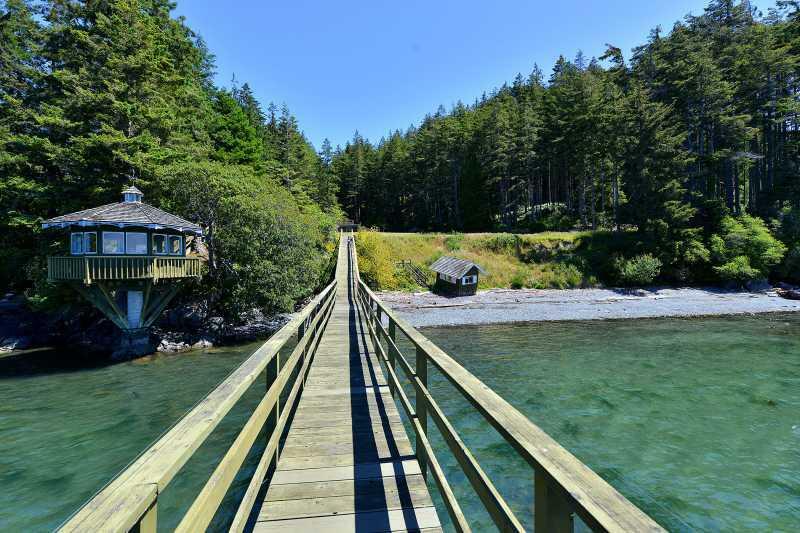 Your perfect west coast vacation!